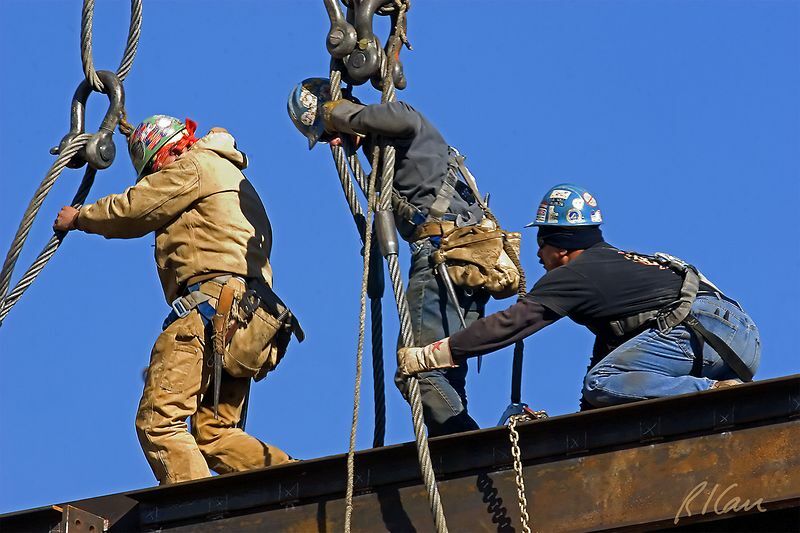 Steel construction: Three man structural ironworker crew unhooks large, high steel truss from crane. All are wearing fall protection: body harness with safety lanyard attached by sliding clip to top flange of truss. UCLA, Los Angeles, CA, 2004.